How to get started with an Arduino(UNO) board if you're a beginner ? 2>> Now that you have a kit, you need a development environment to run it. For that you can download and install Arduino IDE which is an open source Arduino software available for Windows 7, 8, 10, Mac and Linux OS. After installing the software you have to configure your IDE, for that go to Tools > Board and select Arduino UNO. You'll find that there is a large variety of Arduino boards, depending upon the one you are using.. select your board. 3>> Since you are done with the basic configuration, try to build something. 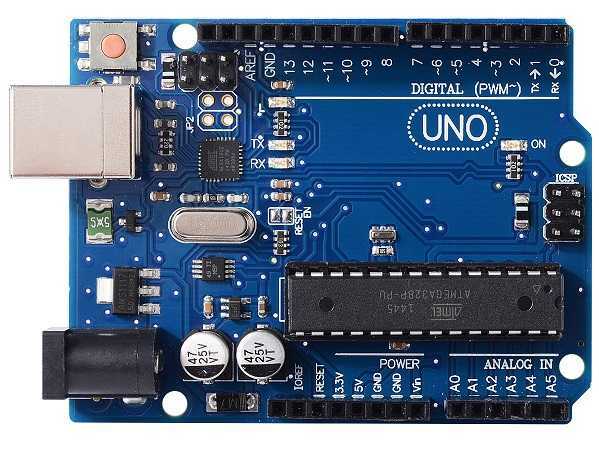 For starters, its better to get an idea the basic layout of an Arduino UNO board. You'll find multiple videos and demonstrations on Youtube of the built-in features in an Arduino UNO. If I have to say, start with small scale projects then move towards bigger ones because starting right off the bat will cause a lot of confusion or worst case... you might end up frying your Arduino board and the components. 4>> Now that your projects setup is complete, the next next step is to make the things you've interfaced with Arduino to work i,e. start the coding. 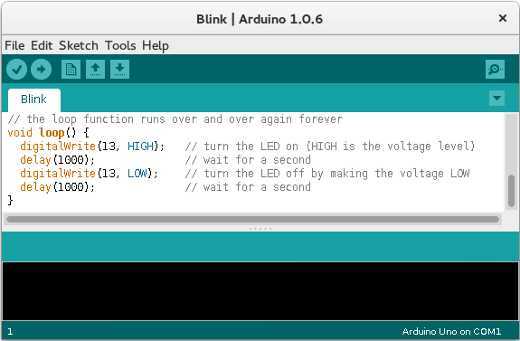 This step might seem a little scary since coding is not most peoples forte but don't worry, Arduino doesn't uses a programming language you're unaware of.. all it requires is a basic C program structure and a good idea of in-built functions in Arduino platform. 5>> At last you can run the program, compile it, correct the errors if present and finally upload it to the Arduino UNO board through the USB cable and Bravo! Your first Arduino UNO project is complete. Well from the above steps you might have got a basic idea of how to work with an Arduino board. The steps were just an overview so you can understand it much easier and start your very own project. If there are some other things you need to remember while starting your first project experience with Arduino, I would like to know about it. How to get data from sensors via Arduino to our computer and display it? Do we have to use matlab compulsorily for the graphical plotting of data Or is their some other possibility provided within visual studio combined with the Arduino ide? 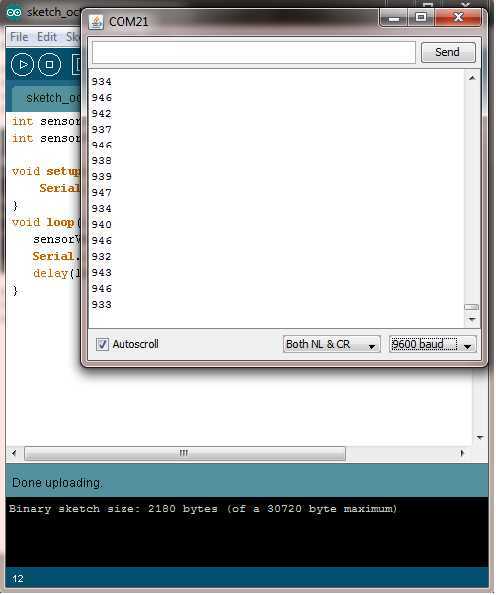 Once you are done with the connections and burned the code to the Arduino board, all you have to do is go to [ Tools > Serial Monitor ] ( in Arduino IDE ) and you're done. You'll get a new window with series of data varying depending upon the change in light intensity. As for your next question i.e. 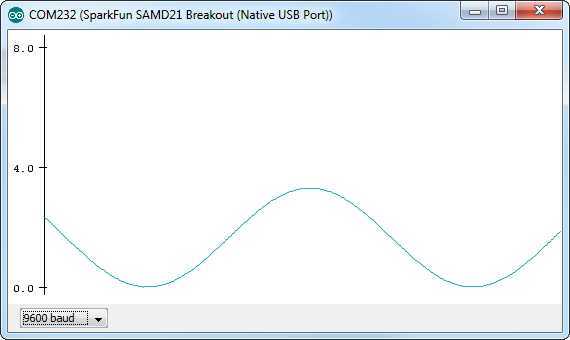 if we can plot graphs in Arduino or not, then the answer is yes. There is nothing new here as all you have to do is go to [ Tools > Serial Plotter ] and you'll get your graph plotted in no time. You can also try naming and adjusting X and Y axis as per your need. Its a good question since this method helps out in visualizing data in real time. Another question, the original Arduino board or a clone of it which we generally get (also in your picture above is not the original one). Is there a big difference in its functionality or the cloned circuit boards also work fine? My pleasure. It makes me really happy to hear that I can be of some help to you. As for your next question its a good one, since most people have no idea whether they are using a fake or an original version. As we already know that the genuine version was originated in Italy, and because of its cool features and easy interfacing techniques with multiple peripherals they became quite popular. Later it became an open source device through which people got full access to its technical specifications. Thanks to its popularity most of the companies started using it for their advantage by selling it at a cheap price after attaching low quality components and mass producing them cheaply. There are some techniques which you could use to figure out the original from a counterfeit like the sharpness of its edges, the quality of its logo, the soldering quality and the golden component attached below the USB port. But I can't assure you that these points will always remain true since companies are trying to mimic the original board as much as they can without spending much from their pockets. But still when it comes to performance, I've experienced that both of them give the same results. Not only me, many people might say the same thing because from a basic project like blinking an led to an intermediate project of smart irrigation, they both displayed the same results. So lets say that working with a counterfeit isn't that bad afterall and you should also know that an original version is 3x or 4x more expensive then a fake one. Yes of course the expenses are high, hopefully the Arduino works well with a rocket(along with a little satellite) launching project. Once again the precise choice of words display the crisp knowledge that you possess.Thanks a lot!